Expand the way you view the world from above – with the drone with wings. 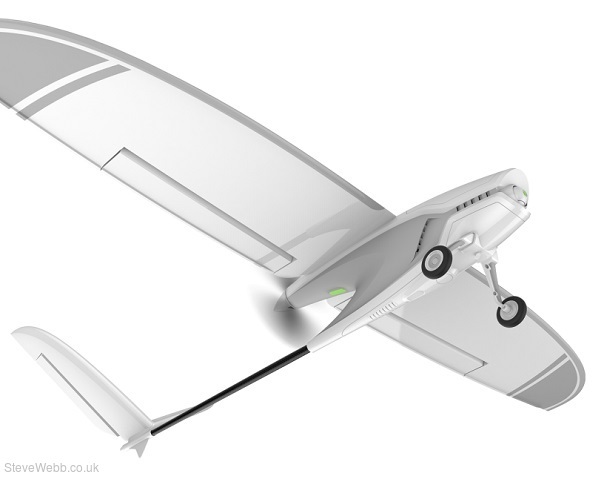 The Firebird FPV provides a fully immersive, real time fixed-wing flight experience and enables the user to fly just as if they were in the cockpit of a real aeroplane. The Firebird comes with a short-latency digital video link. Unlike traditional analogue FPV signals, the Firebird transmits the live image to your smartphone in clear and interference-free high definition. The video signal can be recorded in 4K directly on SD card. 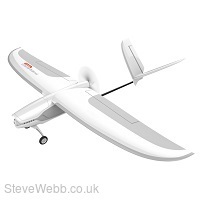 Enjoy up to 30 minutes flight time (depending on weather and flight style) and a safe flight operation at any skill level with different flight modes. Beginner modes allow you to fly your Firebird manually, but self-level the roll and pitch axis. Additionally, the two modes will limit the angle of roll and pitch to prevent the Firebird from getting into dangerous attitudes. Acro Mode provides rate based stabilization with attitude lock for advanced pilots. Aerobatic flying is possible for more experienced pilots. The Firebird is equipped with several GPS functions that make operation simple. RETURN HOME / LOITER - The aeroplane will automatically return to a point near take-off area and circle at a safe altitude. AUTOLANDING - When used the intuitive feature keeps the aeroplane on a stabilized approach to autonomously land near the take-off point. GEO FENCE - Keeps the aeroplane within range and prevents it from flying outside the boundary. SAFETY FLOOR - Prevents the aeroplane from descending below the minimum altitude so it can be safely flown without concern of flying into the ground. With the Firebird smartphone app, the pilot can not only track the live image of the built-in FPV camera, but also adjust camera settings, share footage instantly to Social Media or see telemetry data such as battery indicator, speed, height and more. For an even more intense flight experience, the pilot can activate a head-up display with artificial horizon. Firebird App incl. telemetry data such as battery indicator, speed, height, etc.